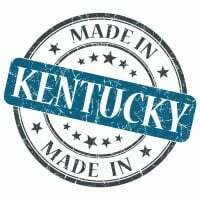 Kentucky Tree Surgeon Insurance. 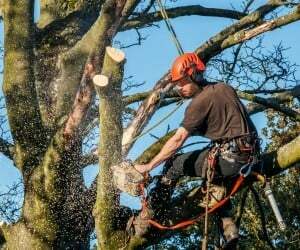 Tree surgeons care for trees by diagnosing diseases and pest infestations, spraying with fungicides or pesticides, filling cavities to prevent further decay, providing structural support to branches, and pruning or removing diseased or unwanted trees or parts of trees, or grinding tree stumps. As a KY tree surgeon, you provide an invaluable service to your clients. Pruning branches and treating damaged trees not only prolongs their life, but it also improves the safety of those who come into contact with the trees; not to mention the fact that it beautifies the property. You might also remove diseased, decaying, or dead trees. No matter what type of services you offer, it's important that you carry the right type of Kentucky tree surgeon insurance coverage. Why is insurance so important and what type of policies should you carry? Below, you'll find the answers to these questions and more so that you can ensure your business - and your clients - are well protected. Kentucky tree surgeon insurance protects your arborist business from lawsuits with rates as low as $47/mo. Get a fast quote and your certificate of insurance now. To avoid the risk of going bankrupt and losing everything, Kentucky tree surgeon insurance is one of the best investments you can make for your arborist business. These are just some of the different Kentucky tree surgeon insurance policies that arborists should have. There are other if your specific job or operations call for it. To find out if there are any other additional policies you should purchase and how much coverage you should have, speak with a reputable agent that specializes in Kentucky tree surgeon insurance insurance. Request a free Kentucky Tree Surgeon insurance quote in Alexandria, Ashland, Barbourville, Bardstown, Beaver Dam, Bellevue, Benton, Berea, Bowling Green, Brandenburg, Cadiz, Calvert, Campbellsville, Carrollton, Central, Cold Spring, Columbia, Corbin, Covington, Crescent Springs, Crestview Hills, Crestwood, Crittenden, Cynthiana, Danville, Dawson Springs, Dayton, Douglass Hills, Eddyville, Edgewood, Elizabethtown, Elsmere, Eminence, Erlanger, Flatwoods, Flemingsburg, Florence, Fort Mitchell, Fort Thomas, Fort Wright, Frankfort, Franklin, Georgetown, Glasgow, Graymoor-Devondale, Grayson, Greenville, Harrodsburg, Hartford, Hazard, Henderson, Highland Heights, Hillview, Hodgenville, Hopkinsville, Hurstbourne, Independence, Indian Hills, Irvine, Jeffersontown, La Grange, Lakeside Park, Lancaster, Lawrenceburg, Lebanon, Leitchfield, Lexington-Fayette, London, Louisville, Ludlow, Lyndon, Madisonville, Marion, Mayfield, Maysville, Middlesborough, Middletown, Monticello, Morehead, Morganfield, Mount Sterling, Mount Washington, Murray, Newport, Nicholasville, Oak Grove, Owensboro, Paducah, Paintsville, Paris, Park Hills, Pikeville, Prestonsburg, Princeton, Prospect, Providence, Radcliff, Richmond, Russell, Russellville, Scottsville, Shelbyville, Shepherdsville, Shively, Simpsonville, Somerset, Southgate, Springfield, St. Matthews, Stanford, Stanton, Taylor Mill, Union, Versailles, Villa Hills, Vine Grove, Walton, West Liberty, Wilder, Williamsburg, Williamstown, Wilmore, Winchester and all other cities in KY - The Bluegrass State.